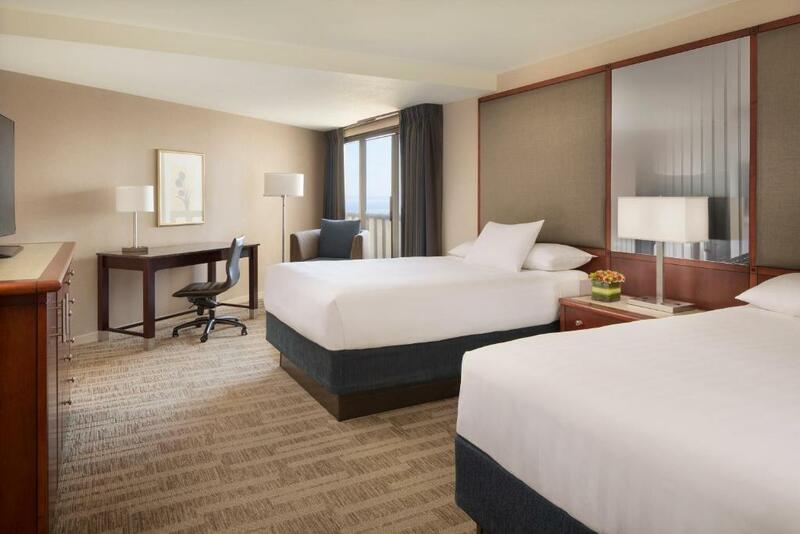 Floor-to-ceiling views cushy beds and a location near the Ferry Building Marketplace and Embarcadero waterfront make the non-smoking Hyatt Regency San Francisco tops with our guests. The 20-floor hotel has a soaring lobby atrium that was featured in the Mel Brooks movie High Anxiety. The atrium elevators also made it onto the silver screen in The Towering Inferno -- and these days it lights up the hospitality scoreboard in its 802 spacious and upscale rooms all with floor-to-ceiling windows (with views of bay or city skyline) granite bathrooms flat-panel TVs iHome docks and Wi-Fi (for an extra fee). One good night's sleep coming right up on the 13-inch pillowtop mattress dressed in down duvet chenille throw and 250-thread-count cotton linens with triple sheeting. 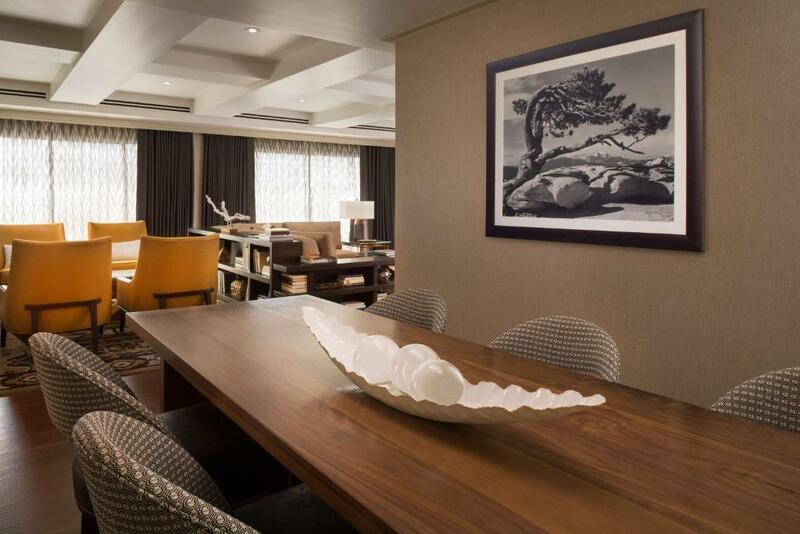 Some rooms also have balconies. Make your way downstairs for a workout in the fitness center or a meal in the restaurant with Japanese Moroccan and Thai-inspired cuisine. Valet parking is available for a fee. The hotel is in the Financial District at the Embarcadero Center overlooking the Bay across from the Ferry Building and its marketplace with fine food stalls. If you're driving from the runways San Francisco Airport is 15 miles away. The Muni is a block away and BART is two blocks for easy access to points beyond. 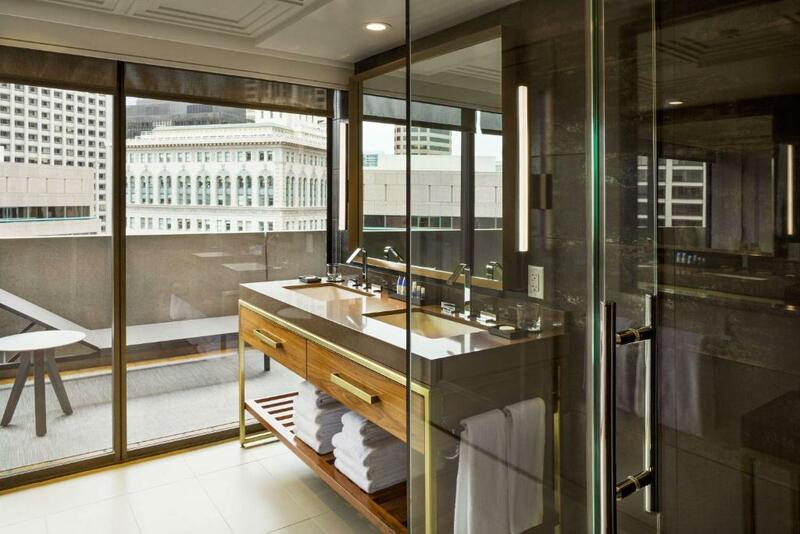 This Hyatt treats our guests to a comfy place near the culinary treats of the Ferry Building Marketplace and also gives them plush beds and terrific views.